Join us for a fun and interactive workshop and explore your non-verbal communication and its impact on client interactions. You’ll receive tools to communicate confidently, naturally & effectively. The workshop itself will last for two hours with some time before and after for nibbles and networking. First impressions matter, and you can control how they play out. The workshop is conducted by Suvi Koivusalo and hosted by Danske Bank UK. Please note that when buying an FBCC members only ticket your membership status will be checked and we reserve the right to cancel any members only tickets purchased by non-members. 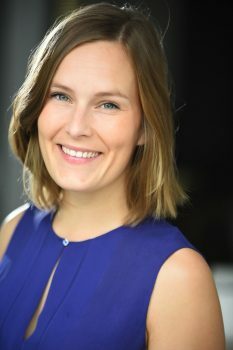 Suvi Koivusalo is a London based trainer and professional actor with a postgraduate degree in International Business Communications. As a workshop leader, Suvi specializes in creativity, communication and presentation skills. She previously worked as a TV presenter for the Finnish Broadcasting Company and continues to work as a marketing and communications freelancer for startups and SMEs. Suvi is passionate about improving people’s ability to connect with each other and concentrates on their successes rather than mistakes.